Hey all! January is going to end but this is my first post of 2013. I was really busy with exams and I was feeling depressed. I was in urgent need of some retail therapy and ended up buying this beautiful product! This is Benefit’s latest launch. 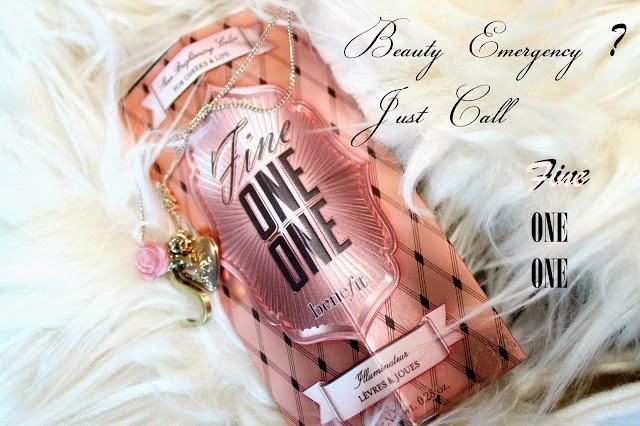 For Beauty Emergency, Call … Fine ONE ONE! 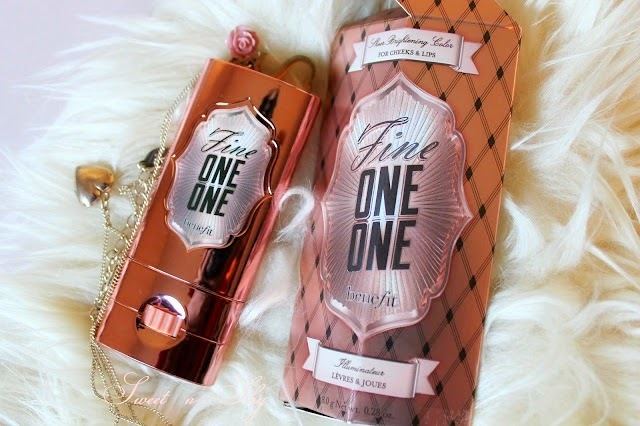 What is Benefit’s Fine ONE ONE? A sheer brightener/illuminator for lips and cheeks and for all skin tones. 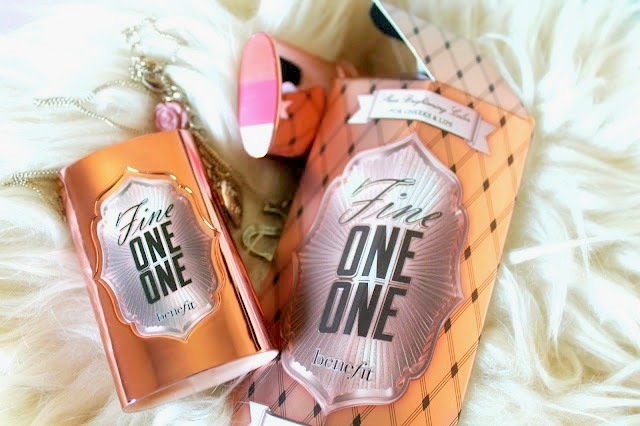 The package is attractive in diamond shaped golden pink carton. And look at this…How classy, glamourous, vintagey and …Oh! 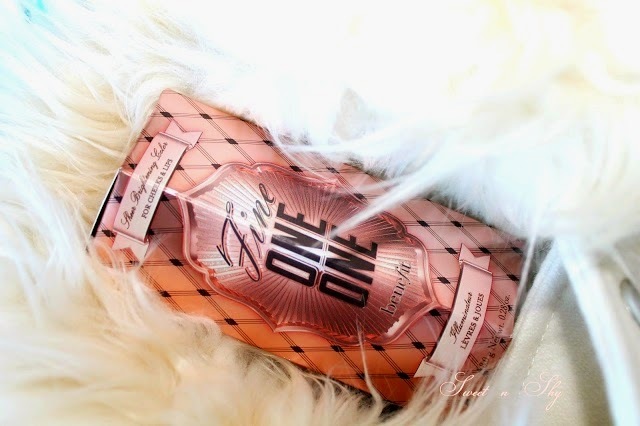 It’s a flat metallic rose gold twist up sturdy package! Yes, the pink thing at the bottom is the roller/twister. It was in display at the entrance of Sephora. I proceeded to the Benefit shelf just to verify the price. But there the SA explained me how to use it and applied on me. And I forgot all about the price and grabbed it! There are 3 shades-soft coral, sheer watermelon and pink champagne. They blend up to give sheer brightness to your cheeks. There is slight shimmer and it blends easily. 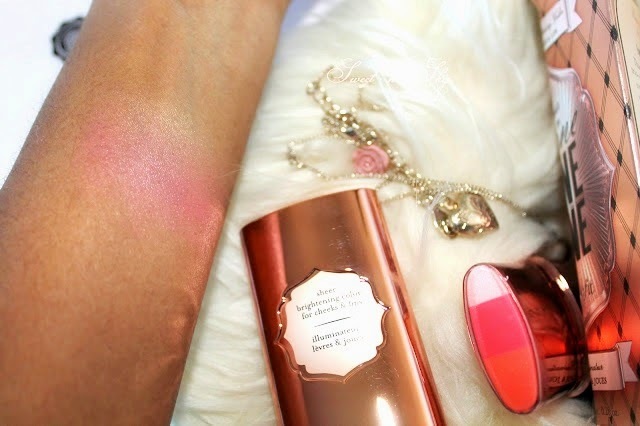 Apply to your cheeks upward and outward with the pink champagne shade on top and blend it with your fingers. 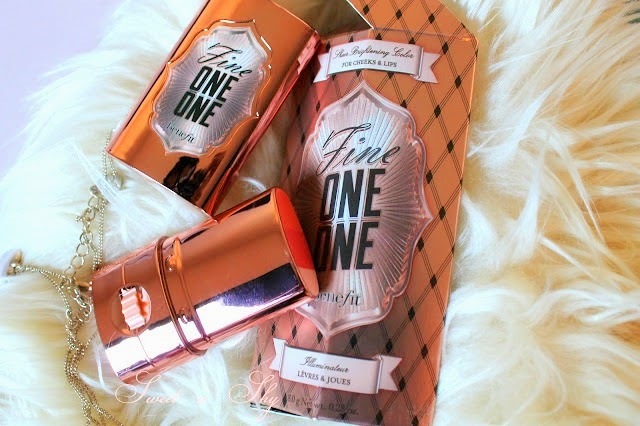 For lips, apply as you wish! The intensity is buildable and there is no fear of going overboard. 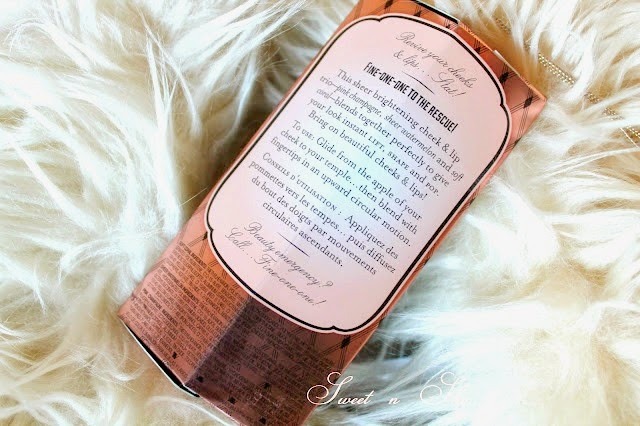 Since it is very sheer, it gives a natural glow and blush to the face. One lovely thing about this product is that it suits all skin tones. This is my first love at first sight product in 2013. People who don’t like powder blushes or too much shimmer would love it. 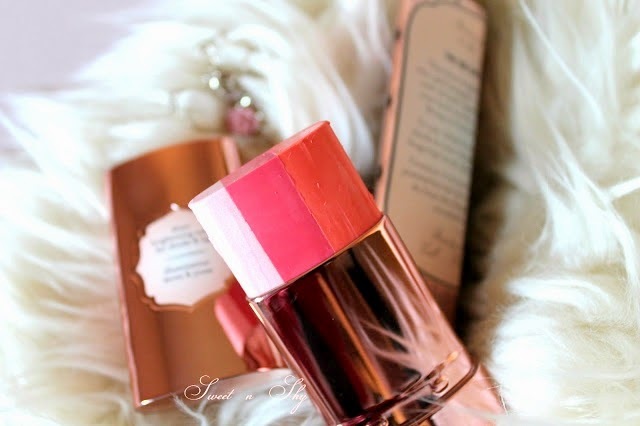 If you are looking for perfect highlighter/blush for everyday use you can invest in it dearies! It is soooooo gorgeous! Want want want! I`d want to try it! This looks like such a killer product! all things in one and would definitely suit all skin tones! So kind of you Priyanka!